For a long time microgrids and nanogrids were heralded for their ability to provide power locally when the grid goes down. Now, more and more, they win friends because of their intelligent usefulness. New Deutsche Bank market research explains what’s driving this appreciation. Microgrids and nanogrids — as well as virtual power plants — are increasingly employed to undertake sophisticated management of energy resources beyond their own footprint. They serve not just as local energy, but as grid resources. Two trends drive their expanded use: growth of distributed generation and the improving economics of energy storage. As early as next year, the amount of new distributed generation may exceed the amount of new central generation installed worldwide, according to the June 11 report on the investment bank’s Environmental, Social, Governance (ESG) index. And between 2014 and 2023, distributed generation is expected to supplant 320 GW of power plants that would otherwise be built. 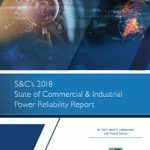 “This increased penetration of distributed generation should drive the need for intelligent distribution networks comprised of nanogrids, microgrids and virtual power plants (VPP),” said the report. Interestingly, the growth persists despite the “negative backdrop around Trump environmental policies,” says the report. In fact, the ESG index, which includes sustainable transportation, power and smart grid, and other green-leaning industries, has outperformed the S&P by six percent year-to-date. 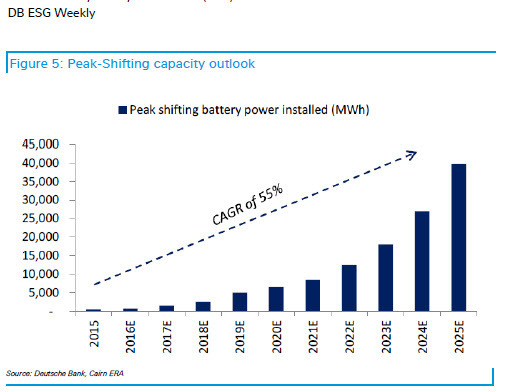 Meanwhile, battery energy storage continues its meteoric rise. Batteries are a key tool that virtual power plants, microgrids and nanogrids use to manage resources intelligently. 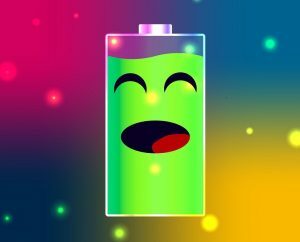 In simplest terms, often this involves orchestrating resources so that batteries are charged when power is cheap and then discharged when power is expensive. Lithium batteries are the type of energy storage most often employed in these systems. The appeal of lithium batteries is growing as their prices fall. Prices dropped from about $900/kWh in 2010 to about $225/kWh in 2016. By 2020, lithium battery prices are expected to be as low as $150/kWh. This price drop will help the stationary (not electric vehicles) energy storage market grow from today’s 1 GW, or $4 billion, to over 40 GW or $25 billion by 2022, according to the report. Together, these forces — more distributed generation and greater battery use — pave the way for intelligent grid services. Microgrids and nanogrids use batteries to help maintain the stable flow of power, as the wind and sun ebb and flow, and renewables turn on and off. They also help improve grid efficiencies and electric reliability. What are the key grid services that batteries provide? Deutsche Bank names five: load shifting, peak shifting, grid management, ancillary services and reserve power. The report estimates that battery use for these purposes amounted to 1.5 GWh in 2016, but will rise to 8 GWh in 2020 and 50 GWh in 2025. Peak shifting is likely to be used most. This involves storing power within batteries during periods of low demand for release during periods of high demand. Only a 500 MWh market in 2015, it is forecast to reach 40 GWh in 2025, a 55 percent compound annual growth rate (CAGR), says the report. Meanwhile, the report sees battery use for load shifting – moving blocks of generation from daytime to nighttime use – growing from 46 MWh in 2015 to 7.3 GWh in 2025 (66 percent CAGR). Still early, use of batteries for grid management also is likely to ascend, creating $500 million in battery demand by 2025, according to the report. Utilities use batteries, microgrids and nanogrids in grid management to achieve greater reliably and resiliency. Reserve power, an emergency service employed when the grid goes down, should drive $2.7 billion in demand for batteries by 2025. 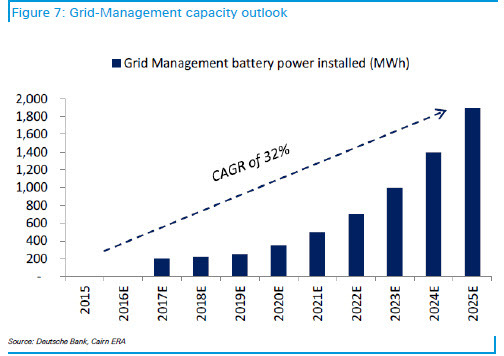 The smallest of the grid service markets – ancillary services – creates battery demand of 160 MWh in 2015 to 575 MWh in 2025 (14 percent CAGR) with total market value reaching $750 million, in Deutsche Bank’s analysis. Ancillary services include spinning reserve, frequency regulation and black start. Track news about microgrids and nanogrids by subscribing to the Microgrid Knowledge newsletter. It’s free. When are Microgrids Virtual Power Plants & Why Does it Matter? The Microgrid Revolution: What Business Models Will Prevail on the New Grid? Hi Juan and David. A copy of the report was supplied to us by DB. I believe they send it to investors. do you know the complete title of the paper? 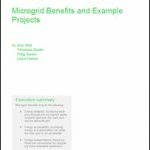 How does the DB report define ‘microgrid’ and ‘nanogrid’? Microgrids and nanogrids are actually very common. EVERY notebook PC with USB ports is both. as building/campus scale microgrids usually (perhaps always) are.